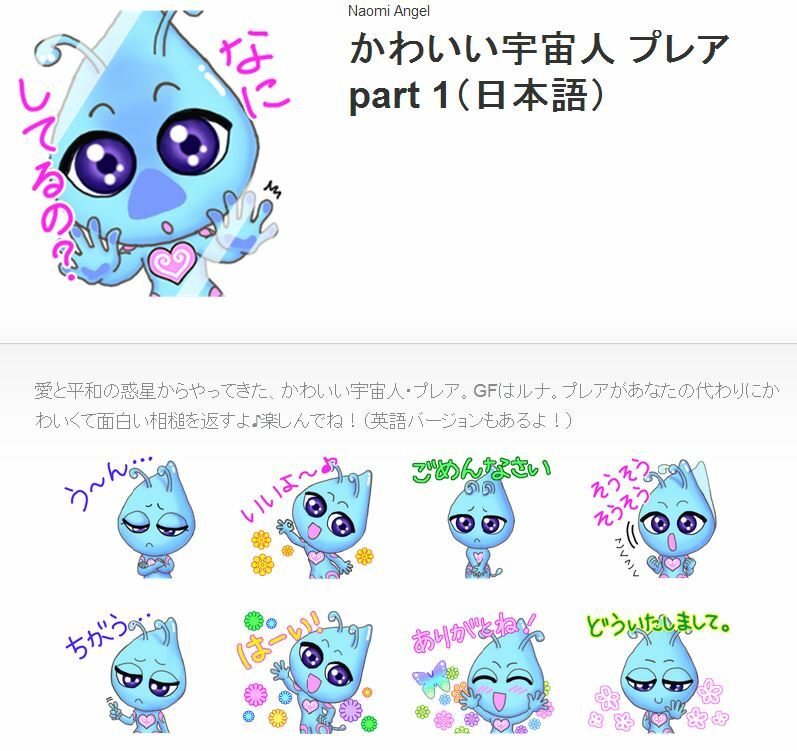 Naomi Angel’s LINE app sticker NO.3 “"Pleia" The cute alien Part1 (Japanese)” was released on Sep 16th (2014) ! 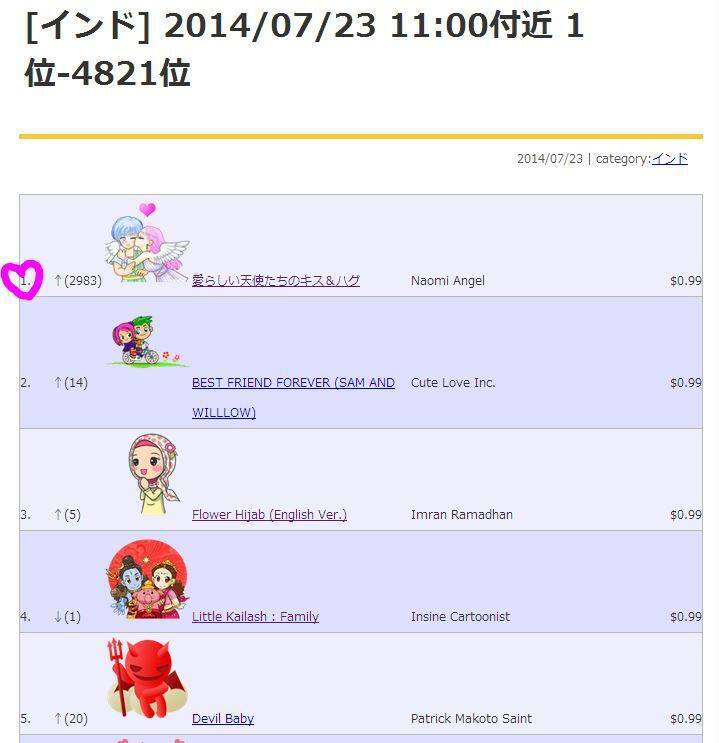 On the LINE application, go to Other＞Sticker store>ClickHand glass (Search) in left above, type "Pelia" or "Naomi Angel" then, you can find Naomi Angel's sticker ""Pelia" The cute alien", tap it, then, they can get them on the LINE store page. 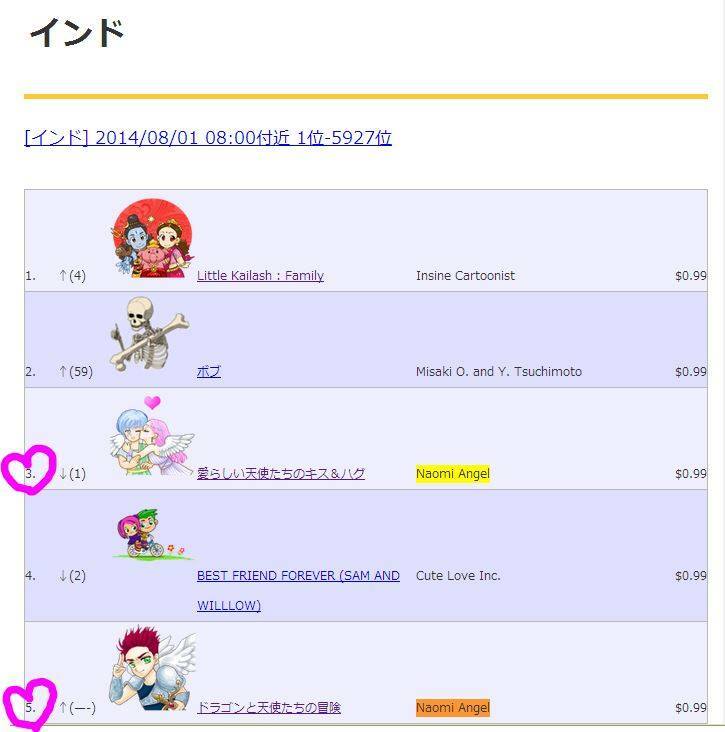 I appreciate many people get and use my stickers. 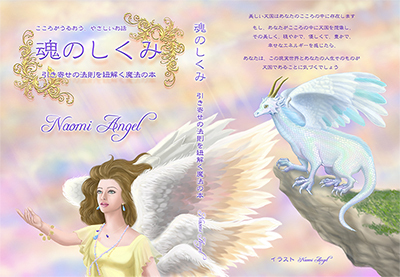 Thanks of you, NO.1 “Lovely angels’ XOXO” and NO.2 "Dragons and Angels Adventures" is also very popular.